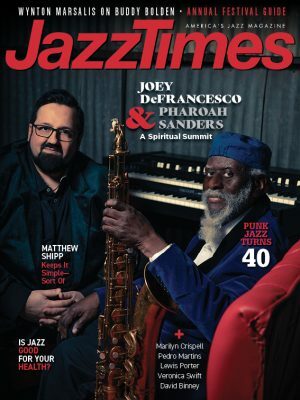 As Nate Chinen points out in his finely crafted profile of the 13-year-old pianist Joey Alexander, prodigies are nothing new in jazz. Many of our greatest jazz musicians were fiercely precocious, already performing like dutiful pros while still in the midst of adolescence or even childhood. Of course, prodigal gifts are an old fact of Western music, period. One revelation I recall from my early reading on classical music was how absurdly young the iconic composers were when they debuted. Beethoven, Liszt, Chopin, Haydn, Mendelssohn-all were shaping legacies well before adulthood; Mozart famously began touring at age 6. Wherever an immensely talented child turns up in the public sphere, a host of complicated ideas follow, despite what the realities might be-for instance, the dangers of stage parenting, or whether or not future promise will be fulfilled, or cynical, loudmouth critics and fans essentially rooting against children in the name of protecting emotional authenticity in art. Resentful music scribes, too, are old news when it comes to baby genius. I’ve had to admit to my own blind spots and preconceptions, and Alexander has surely opened my mind and invited me to seek out the core of those notions. In my and other jazz writers’ defense, we’ve dealt with wunderkind-overload through the years, a symptom of jazz itself. Think about it: Divorced from its more expressive ambitions, jazz is a cipher, and mastery of its technical language can be a demonstration of raw intellect akin to crunching numbers sans calculator. So many of Alexander’s underage predecessors have attacked jazz in this way, as if sport, which makes Alexander the truest “child prodigy” I’ve encountered, since his precocity takes on elements of lyrical grace and stylistic searching that can be downright unsettling in their maturity. Yes, his recordings contain pointed chops vehicles, but I’ve also witnessed him artily recast “Footprints” alongside Wayne Shorter, for an audience including the Obamas. Surely Alexander, then 12, would have wanted to put on a clinic for the President, right? Absolutely not. Close your eyes and it could have been Stanley Cowell onstage at certain moments, or Denny Zeitlin, or Herbie Hancock. Or Joey Alexander. At its supposed ideal, jazz is a vessel for the hard-won and lived-in. But in Alexander’s case, this attitude only disrespects the marvels of boyhood while grossly overrating the emotional depth of adults. If jazz truly embodies the democracy that critics and fans say it does, it will have room to seriously consider the mind and spirit of an extraordinary child.